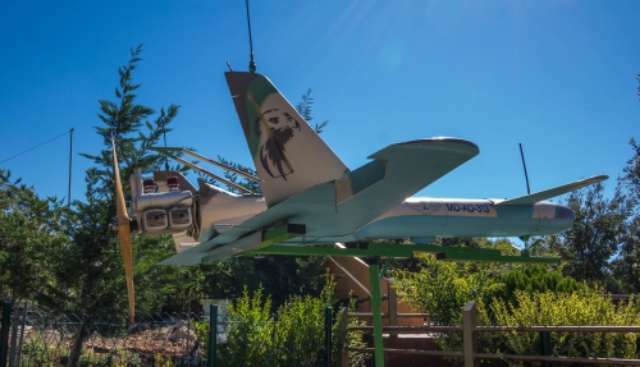 Hezbollah’s Drone Museum » UAV DACH e.V. The museum is located in southern Lebanon, about 45 kilometres north of the border with Israel, and is run by the Lebanese Association for Tourism and Tradition.Both Hezbollah and Hamas have used drones – more properly known as unmanned aerial vehicles or remotely piloted air systems (UAVs or RPAS), in their operations against Israel. These have mainly been Iranian-supplied systems, and Hezbollah is understood to have worked alongside the Iranian Revolutionary Guard Corps at Iranian drone bases in Syria. In 2014, Hezbollah launched its first successful armed drone attack against the headquarters of the Nusra Front near the Lebanese/Syrian border.Increasingly, Hezbollah has turned its attention to the use of commercial off-the-shelf micro drones, using these to drop grenades, IEDs and Chinese-made MZD-2 sub-munitions or ‘shrapnel bombs’. The MZD-2 typically contains an explosive charge, wrapped in tiny plastic or metal balls. UAV DACH: Beitrag im Original auf https://www.uasvision.com/2019/02/05/hezbollahs-drone-museum/, mit freundlicher Genehmigung von UAS Vision automatisch importiert. Der Beitrag gibt nicht unbedingt die Meinung oder Position des UAV DACH e.V. wieder. Das Original ist in englischer Sprache.